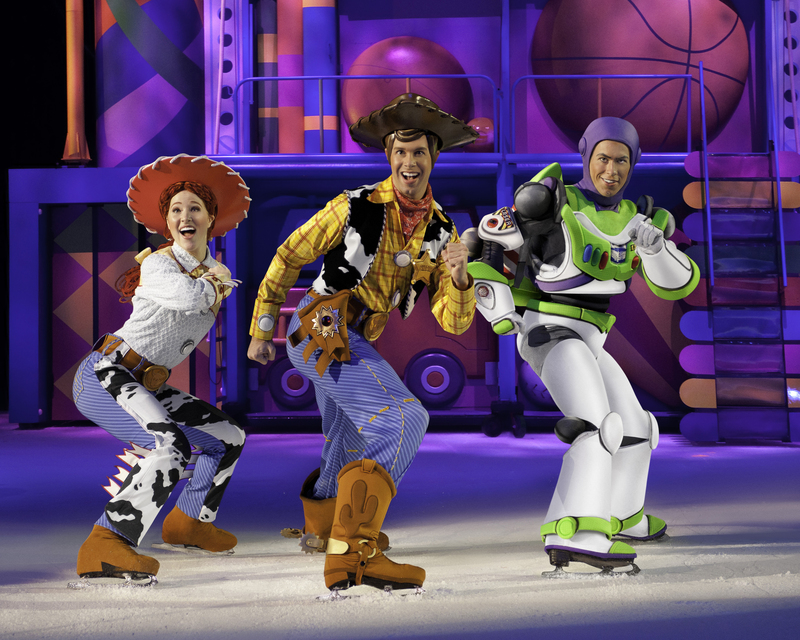 Disney On Ice is on tour in the United States, and now’s your chance to see them in person. 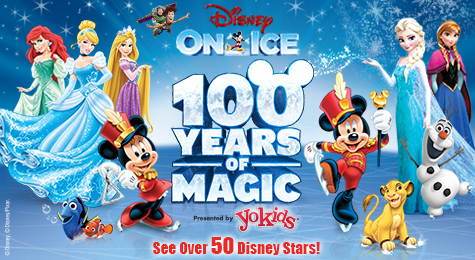 Now’s your chance to win 4 tickets to the Disney On Ice celebrates 100 Years of Magic show being held in Orlando, FL. Rules to Enter the Contest: simply leave a comment about how much you’d love to see Disney On Ice at the bottom of this post. This comment will serve as your entry into the contest. Only one entry per person. 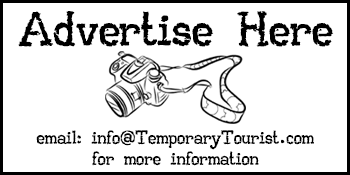 Contest runs from August 3rd, 2015 and ends August 10th, 2015. Contest winner will announced on August 11th, 2015. 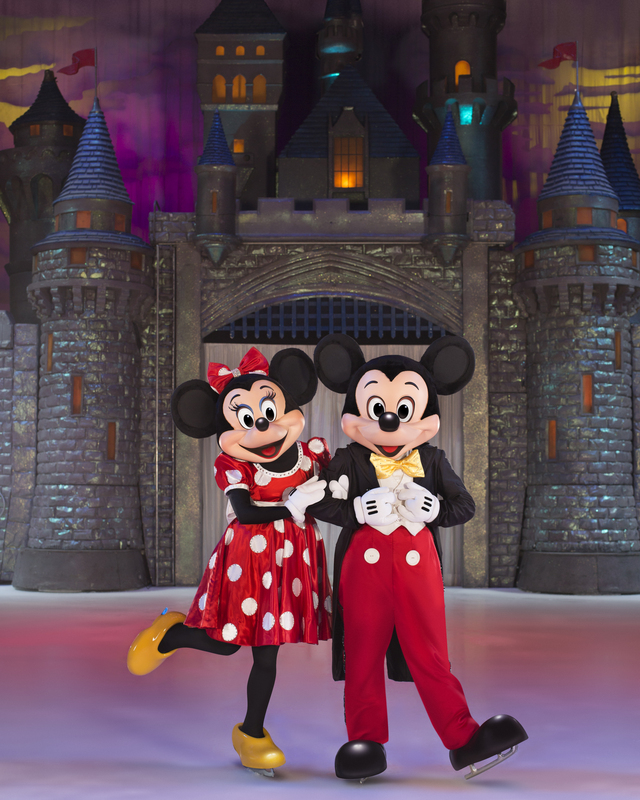 Disney On Ice will be held at the Amway Center in Orlando, FL from September 4th through September 6th, 2015. If you can’t make it to the Orlando show but would like to see Disney On Ice in another location in the United States, we’ve got a $5 off per ticket code for you to use! Simply use the code MOM5 when making your online purchase. (Code expires September 3rd, 2015. Code is not valid for VIP or rinkside seating.) See below for online ticket purchasing information. What’s the Disney On Ice show all about? My 8 year old daughter, Hannah has been gazing longingly at the commercials and asking if we could go to Disney on Ice. I would love to be able to surprise her with her first show and take along my husband and boys too. We would be one SUPER excited family! I can’t wait til this comes near us. Looks awesome. I have always wanted to see Disney on Ice! 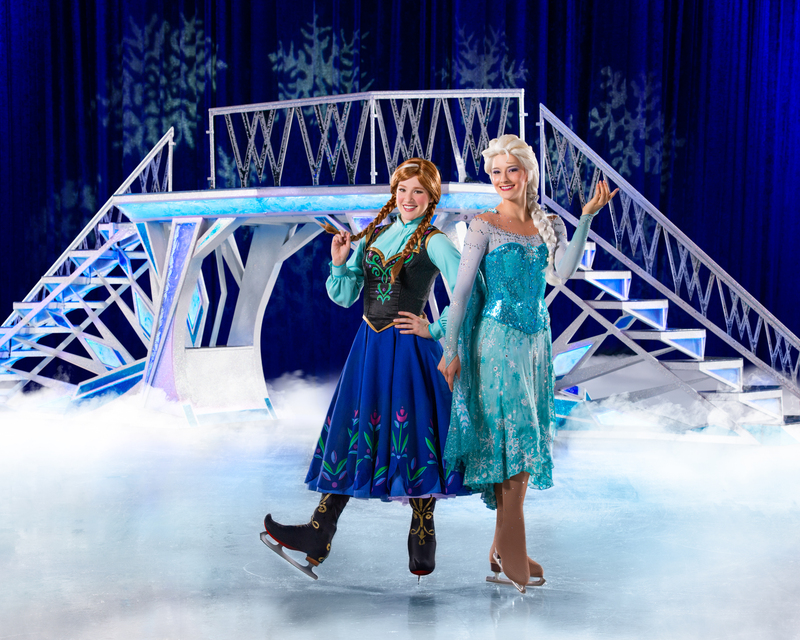 The fact that the gals from Frozen are on ice that is frozen – I bet the kids love it! This will be such an amazing show! It would be really fun to see this with the family. I went to a Disney on Ice during graduate school and had so much fun with friends. I have at least one son who’d go with me. Oh my kids would go nuts over this. How awesome I wish i could take them! I haven’t been to Disney anything in ages! This looks like a fun family show! Oh! I wish I lived closer. My kids would love that, especially with the addition of the Frozen characters. My daughter is still singing “Let it Go”. My daughter asks us often to go. My husband took her two years ago and she still talks about it all the time! I will check the schedules for when they’ll be near Hartford or Boston! I wish we could go in Orlando! We loved Disney on Ice, they put on an incredible show. It’s something our kids will remember for a long time. My daughters would be thrilled to see Elsa and Ana in person and on skates! Great giveaway! I used to love taking my kids to Disney On Ice. Bet the Frozen show is the most fun! Some lucky family will get to see this awesome show. Wish I lived closer to Orlando! I love Disney but have never seen Disney on Ice. It’s on my to dolist but haven’t made it yet. I would love to take my daughters to go see a Disney On Ice show! They wouldn’t want to ever leave! At $25 a ticket, it’s not as expensive as I’d think! We love Disney on Ice shows. They really do it right. I would love to take my little girl to see Disney on Ice 100 Years of Magic. She would be so excited to see all the princesses!